IN THE AREA? STOP ON BY! Come by our huge show room where you can get your hands on some of the hottest DJ equipment around! We carry all major brands and get the newest gear as it arrives. We have many set-ups where you can test out the gear before you buy. We're constantly changing up our audio and lighting dispalys so our customers can view the newest equipment in action. Not sure what you want? Our knowledgable staff will help you step by step in picking out the best DJ equipment to suit your needs. 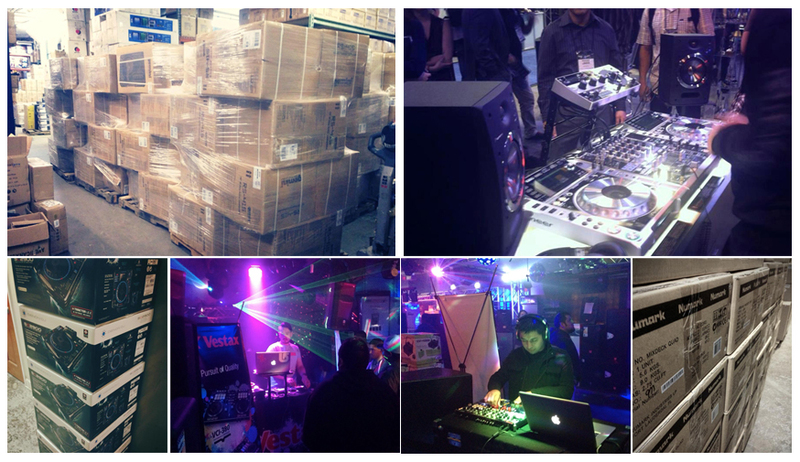 So stop on in one of the largest DJ gear show rooms in Chicago! Most products you see on our site are also available in our massive warehouse! Stop on in and see the items up close and personal. Most orders are available for store pickup within 45 minutes.For your convenience, please call us first - 800.856.8397 - and we will have it waiting! Get directions here. WE ARE AN AUTHORIZED DEALER ON ALL MAJOR BRANDS!